Ganesh Himal, a "Great Himalayan Chain" a sub-range of the Himalaya located in north-central Nepal, includes; Yangra (Ganesh I), 7,422 m (24,350 ft) highest peak in the range, Ganesh 2nd 7,118m, Salasungo (Ganesh 3rd 7,043, Pabil (Ganesh 4th) 7,104 and some other peaks lie on the border with Tibet. There are three other peaks over 7000 meters plus some fourteen others over 6000 m in the range. We can observe all the series of Ganesh Himal, Buddha Himal, Manaslu Himal in the west and Langtang Range in the east. The panorama from the trail Singla to Pansang Pass (4050m) is unbelievably mesmerizing and superb. The area is separated by the Langtang Area; on the east and the the Budhi (Buri) Gandaki valley and the Shyar Khola valley on the west separate it from the Tsum Valley and the Manaslu Region, The range lies about 70 km north-northwest of Kathmandu. The name Ganesh for the range comes from the Hindu deity Ganesha, usually depicted in the form of an elephant. In fact, the south face of Pabil (Ganesh IV) slightly resembles an elephant, with a ridge that is reminiscent of an elephant´s trunk. The area, not frequented by many trekkers, situated northwest of Kathmandu is characterized by the terraced hillsides that seem to climb to the sky. 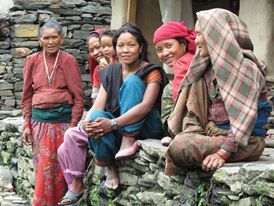 Many interesting ethnic groups and a mixed lifestyle offer you a glimpse into real Nepali life and this gives visitors an opportunity to observe the rich Nepalese cultural tradition from the closest quarter and intermingle with locals. Apart from this, the area also offers an excellent habitat for a wide variety of plants and animals: 526 species of plants (including 40 species of orchids), and 300 species of birds. Other interesting wild animals are the Himalayan Thar, Gaur, many kinds of Monkeys and musk Deer. The place is comparatively close to Kathmandu than other trekking trails but it is totally unspoiled and less visited route starts from Betrawati, after driving almost 5 hours from Kathmandu, passing through charming villages and picturesque landscapes of the country. 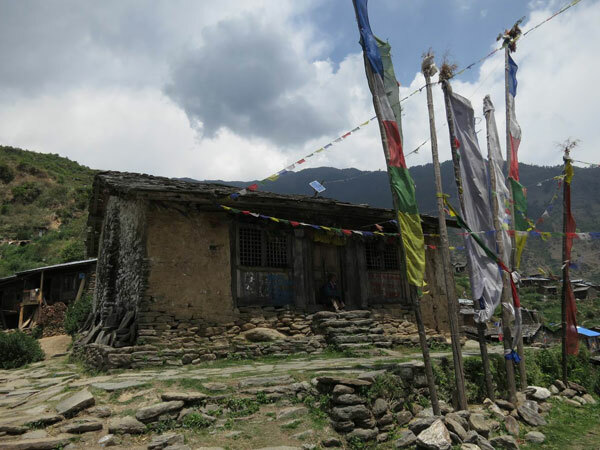 Trekking through Tamang Heritage Trail rewards the visitors with great experience of deep look into glorious Tamang Cultural heritage and the treasure of natural beauty and life time experience of delightful locals in beautiful mountain villages. Day 02:Trek from Saatdobato to Gonga (2850m). Day 03:Trek from Gonga to Rupchet Kharka (3450m). Day 04:Trek from Rupchet Kharka to Machet Kharka (3375m). Day 05:Trek from Machet Kharka to Chatang Kharka. 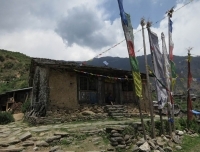 Day 06:Trek from Chatang Kharka to Somdang (3100m) via Pangsang. Day 08:Somdang – Gatlang/Parbati Kunda (2250m). Day 09:Gatlang – Tatopani (2607m) – 4-5 hours. Day 10:Tatopani – Nagthali – Thuman (2338m), 2-3 hours walk. Day 11:Thuman –- Syabrubesi (1450m). 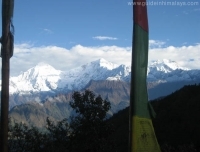 Well experienced, government registered, English speaking trekking guide. All meals: lunch, breakfast and dinner during the trek. Tea, coffee, cookies and fresh fruits during the trekking. Food, accommodation, salary and insurance of your guide and porters. All camping gear, tents, kitchen utensils, cook, kitchen staffs and necessary porters. .
Group medical kit, water purifier and other necessities. Langtang National Park Entrance permit and TIMS Card. Hot shower and hot water, laundry, toiletries. Gratitude and tips for your guide, porter and driver. This trip can be personalized as per your requirements that meet your time frame. The trip price will be according to Deluxe, Standard, Budget and group size so please kindly provide us your details for tailor made program.